Meetings will be held in small remote Alaska communities such as Kaktovik and Arctic Village, as well as cities including Anchorage and Washington. Comments will be accepted through June 19. The U.S. Bureau of Land Management has scheduled public meetings, in locations ranging from tiny Alaska villages to the nation’s capital, to discuss the Trump administration’s planned sale of oil leases in the Arctic National Wildlife Refuge. The meetings will start later this month and are part of the scoping process that was launched last month to gather input on issues that should be addressed in an environmental impact statement. The first meeting will be held on May 22 in Kaktovik, the Inupiat village that is located on the refuge’s coastal plain. Additional meetings will be held in the Inupiat hub of Utqiagvik, the Gwich’in communities of Arctic Village and Venetie and in Anchorage, Fairbanks and Washington, D.C. The Washington meeting, scheduled for June 15, is the last in the series. Public comments will be accepted through June 19, the BLM said. The Trump administration is seeking to complete the ANWR leasing EIS within a year and to hold a lease sale soon after that. ANWR leasing was authorized in the tax overhaul that passed Congress last December; the bill mandates two lease sales offering at least 400,000 acres each. Organizations for and against ANWR oil leasing have called on members to participate in the scoping process. The pro-drilling Resource Development Council for Alaska, for example, has issued an action alert. Among the issues to be considered, the RDC said in its alert, is the Alaska economy and its dependence on oil flowing from the North Slope. “Alaska’s economic lifeline, the Trans-Alaska Pipeline System (TAPS), is now running at three-quarters empty. New oil production from the coastal plain has the potential to reverse throughput in TAPS, a vital component of American energy infrastructure,” the alert says. 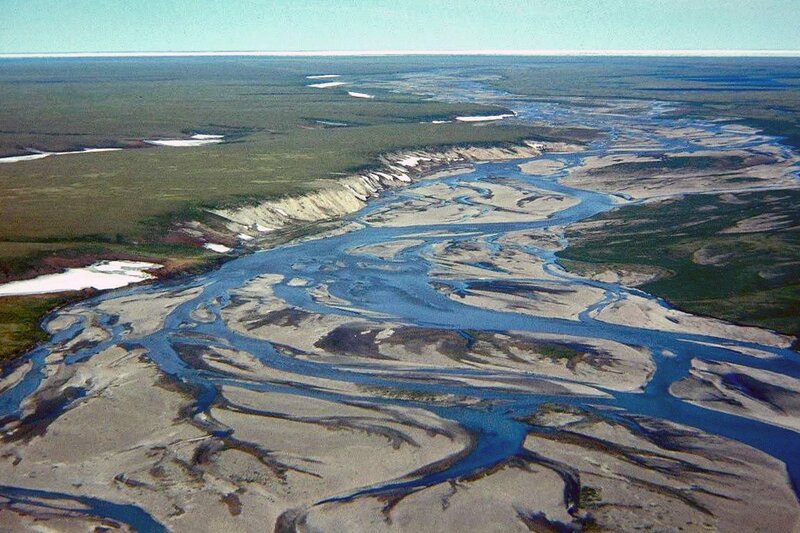 Major Inupiat organizations, including Inupiat-owned corporations, have supported ANWR development. One of those organizations, Voice of the Arctic Inupiat, said it was pleased that scoping meetings will be held on the North Slope. “Voice of the Arctic Iñupiat has long fought to ensure that the voices of our region are not hijacked by outside special interest groups, and so we’re encouraged that BLM has invited our Kaktovik members into consultation with the agency and will be holding the public hearings within our region,” Sayers Tuzroyluk, president of Voice of the Arctic Inupiat, said in a statement. Among those organizing scoping comments in opposition to oil leasing are the Gwich’in Steering Committee and the Yukon Chapter of the Canadian Parks and Wilderness Society, which notes that because ANWR development is a transboundary issue, comments from Canadians will be accepted. “This going to be a rare and powerful opportunity for Yukoners and Canadians to speak directly to the American government,” that organization said on its website. The permitting process is underway for another Arctic oil development, the Liberty prospect in the Beaufort Sea. Hilcorp Energy Company’s Alaska operation has applied to the National Oceanic and Atmospheric Administration for a five-year permit that would allow for accidental disturbances of and harm to marine mammals during construction and operation of the offshore Liberty field.